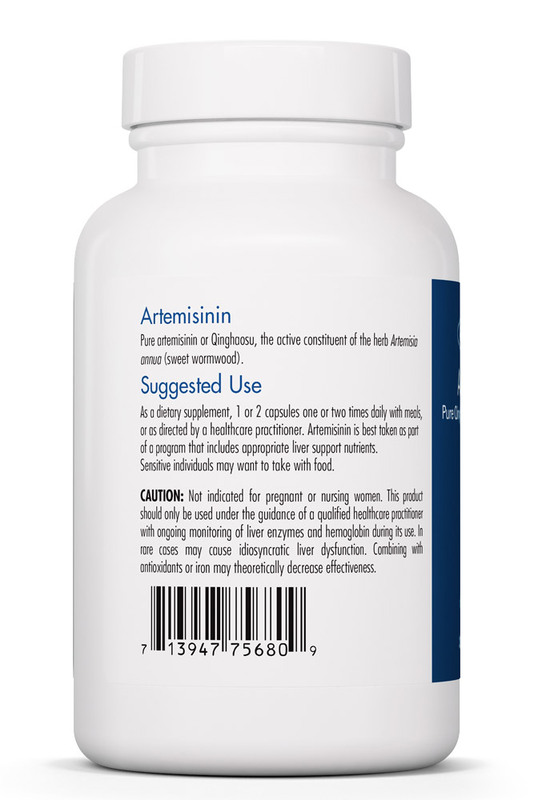 If you’re experiencing symptoms like high fevers‚ chills‚ bloody stools‚ jaundice‚ and muscle aches‚ a substance called artemisinin may help. Traditional Chinese herbalists have been using it for more than two thousand years to support gastrointestinal health. The GI is very delicate‚ and treating it well is essential to overall wellbeing. 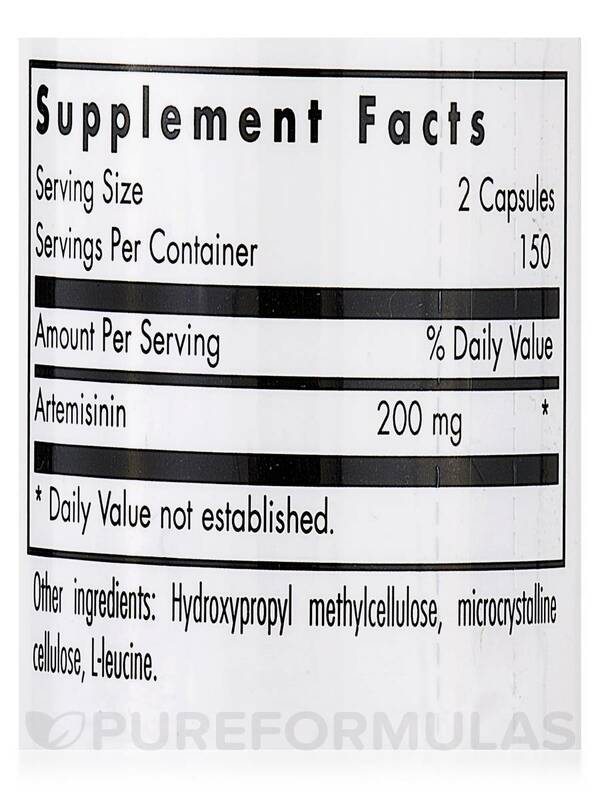 Allergy Research Group’s Artemisinin easily promotes GI tract health. 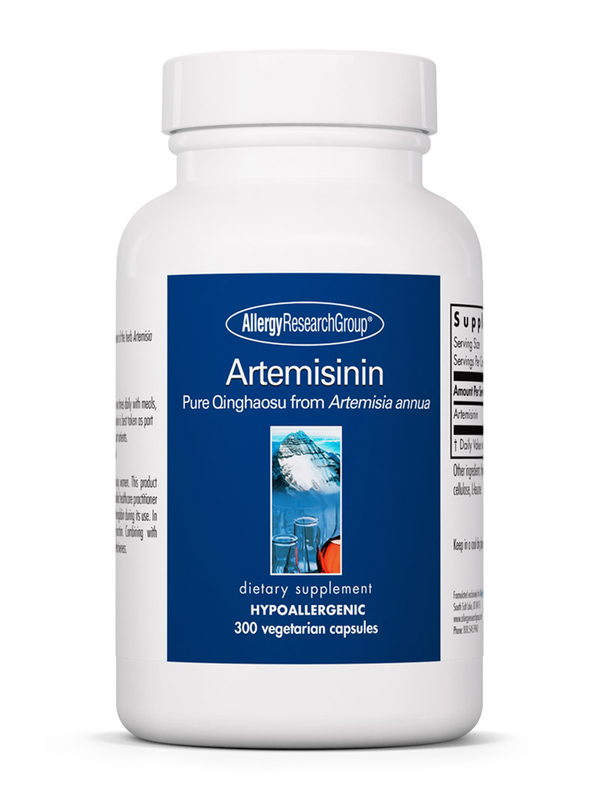 Each capsule of Artemisinin by Allergy Research Group provides 200 mg of 98.5% pure artemisinin. 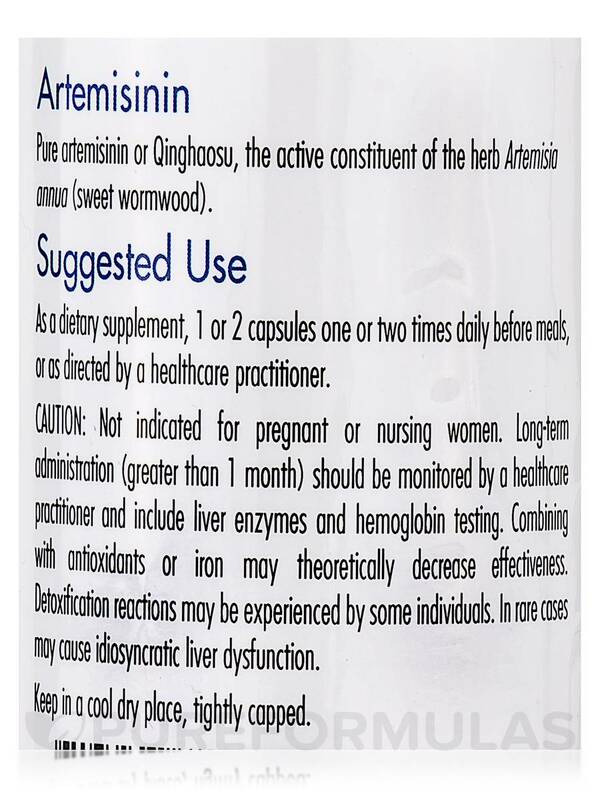 Take one or two capsules‚ one or twice daily before meals‚ unless otherwise directed by your health care practitioner. 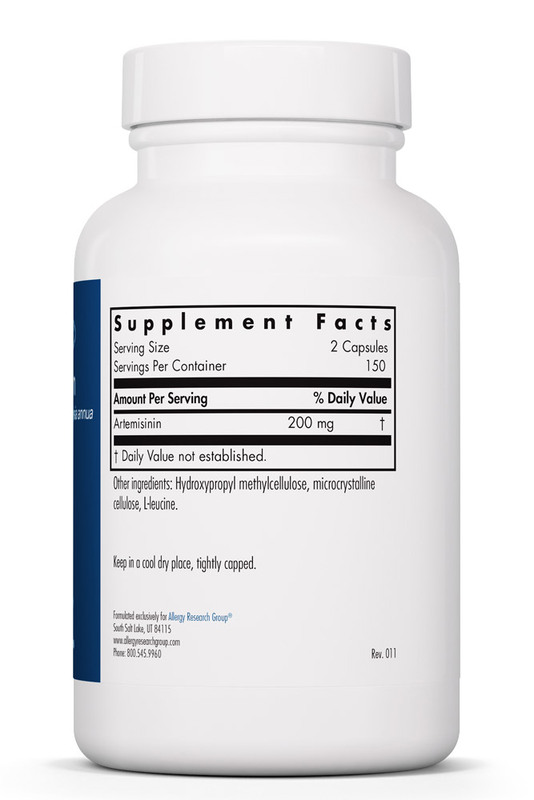 The 300-capsule bottle will last for about two and a half months at the recommended dose of four capsules a day. Suggested use: As a dietary supplement‚ 1 or 2 capsules one or two times daily before meals‚ or as directed by a healthcare practitioner. Sensitive individuals may want to take with food.